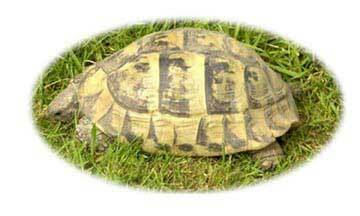 This species of tortoise has a bony tip at the end of the tail and is lacking in spurs on the legs. The carapace is generally flattish and colours can vary, from yellow to olive green with black markings. Hermanni can be found in Greece, Bulgaria, Spain, France, former Yugoslavia and Italy. A hibernating species that, with the correct care, planning and husbandry can thrive in the UK. Though as with all species of tortoise a good deal of research and forward planning should be undertaken before taking on any tortoise.